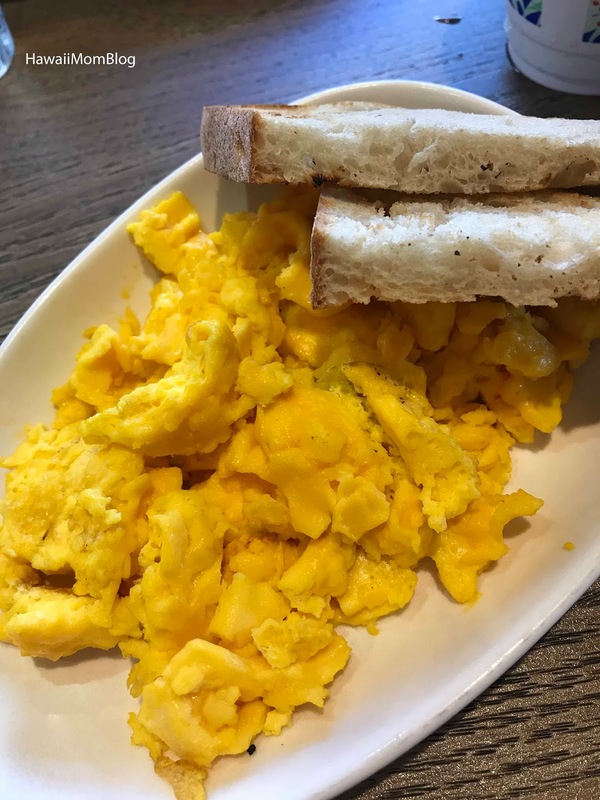 While dining at Maui Brewing Co. at the Holiday Inn Resort Waikiki Beachcomber during Happy Hour, our server mentioned that the restaurant offers a great breakfast. Being the huge breakfast fan that I am, I immediately made reservations for the next morning. 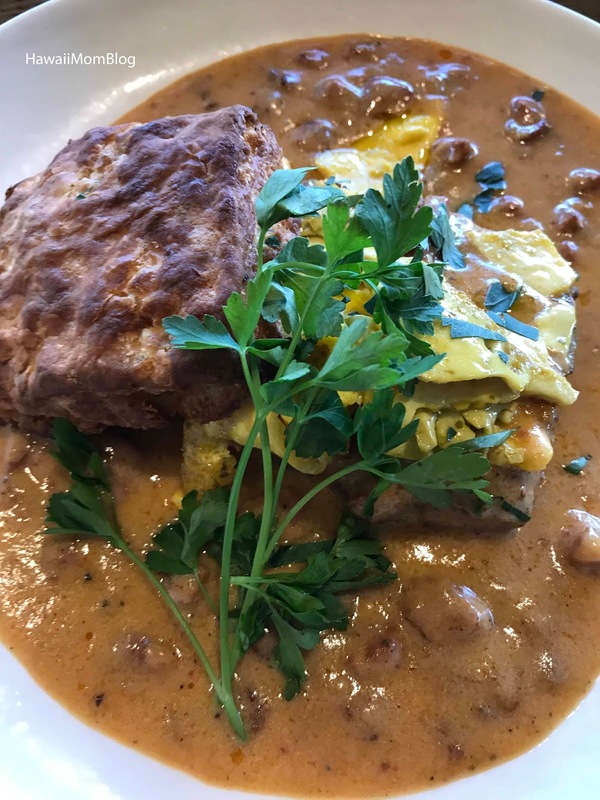 I ordered the Biscuits and Gravy - Big Swell IPA and sausage gravy, rosemary biscuit, and scrambled farm eggs. Talk about comfort food! The gravy was a delightful medley of spices. The biscuits were amazing. It didn't have much rosemary flavor, which I was fine with, but the biscuits they were still just perfect to me - light, flaky and so delicious! I didn't think the eggs were necessary though - the biscuits and gravy were just great on their own. 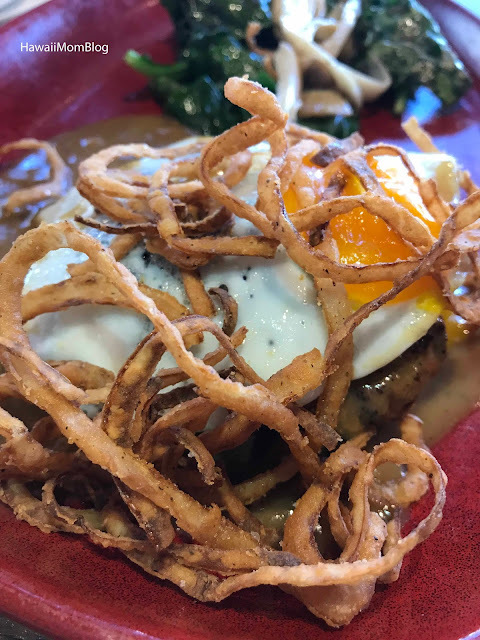 My husband had the Loco Moco for Days - Kauai bison burger atop rice and topped with an egg, all covered in Big Swell IPA and mushroom gravy and fried onions. 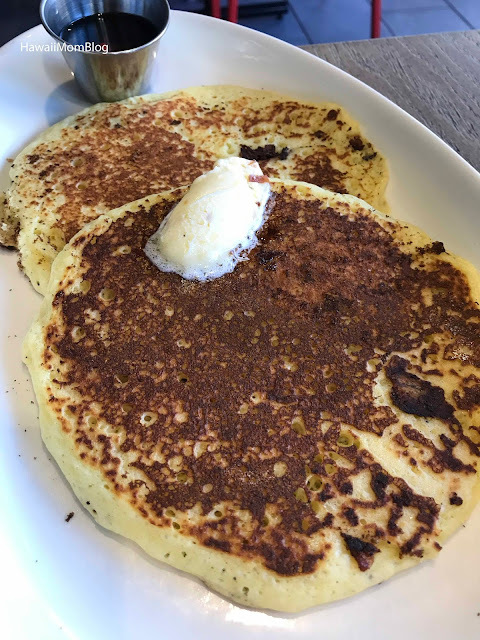 Keiki options are available, which include Pancakes, French Toast, Granola, and Scrambled Eggs with Toast. Keiki meals are offered, and they were a nice portion size. Service was excellent, and I definitely want to return to try some of the sweet options for breakfast! Mahalo to Holiday Inn Resort Waikiki Beachcomber for the Resort Bucks that went towards our meals. Gratuity was paid on my own.